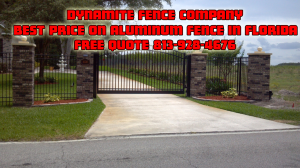 Adding a new aluminum fence around your yard will give you and your family a great sense of security as well as be ascetically pleasing to the rest of the neighborhood. 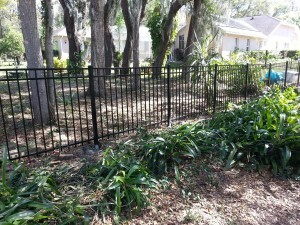 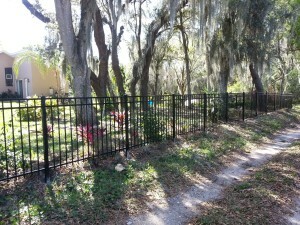 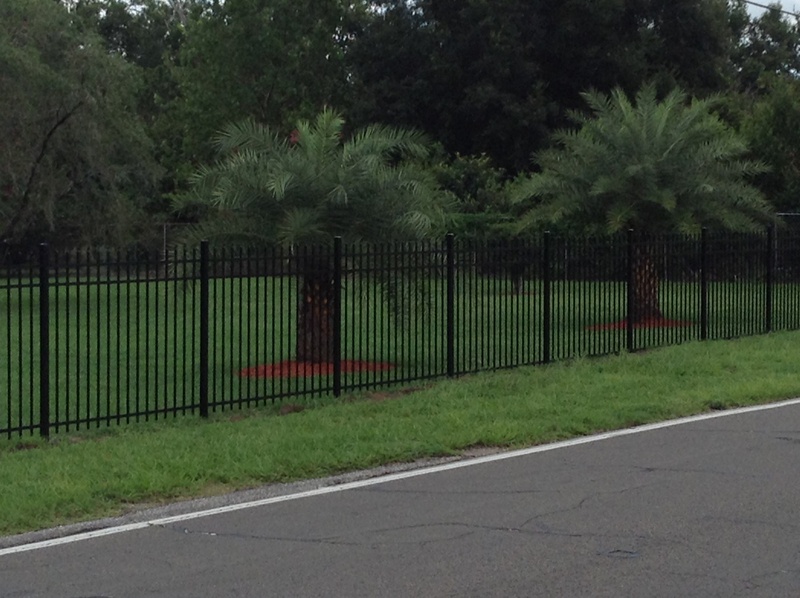 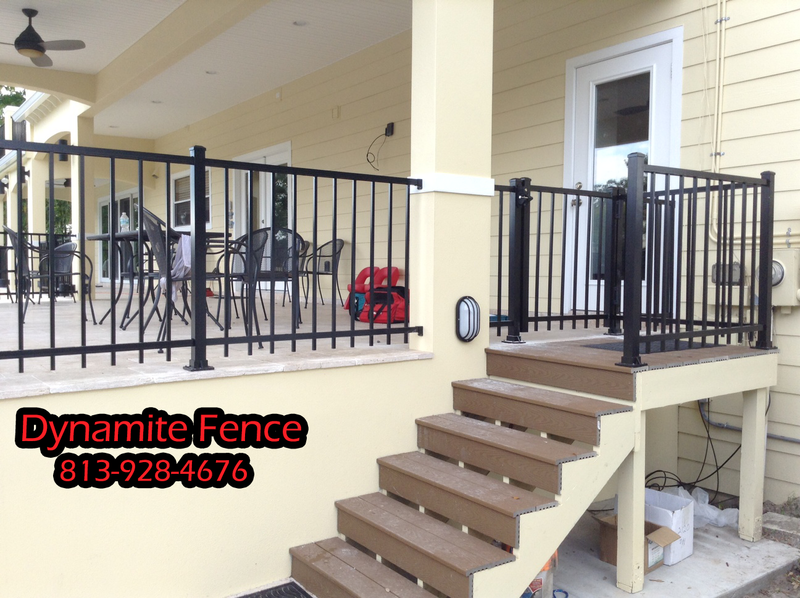 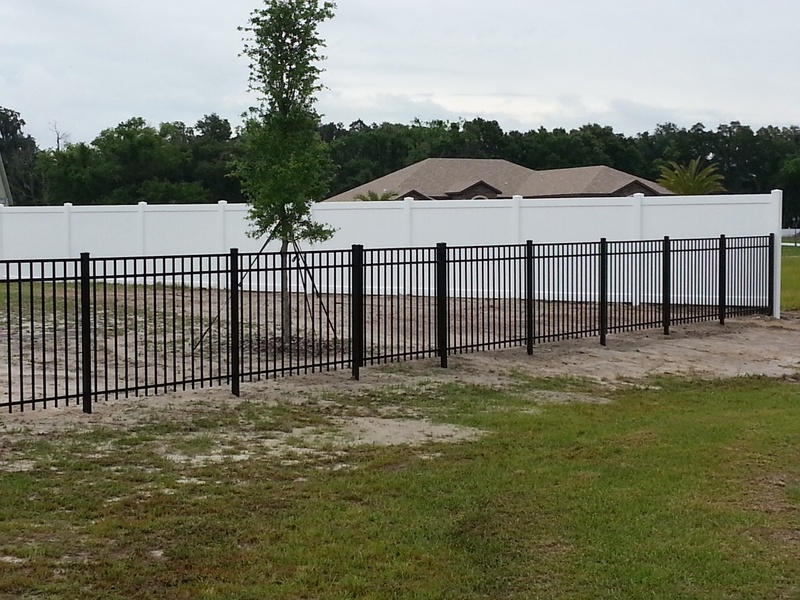 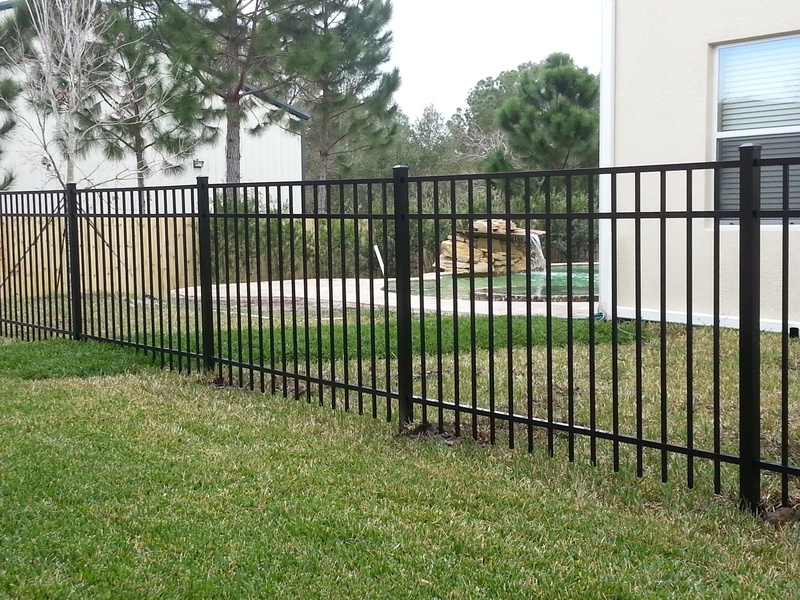 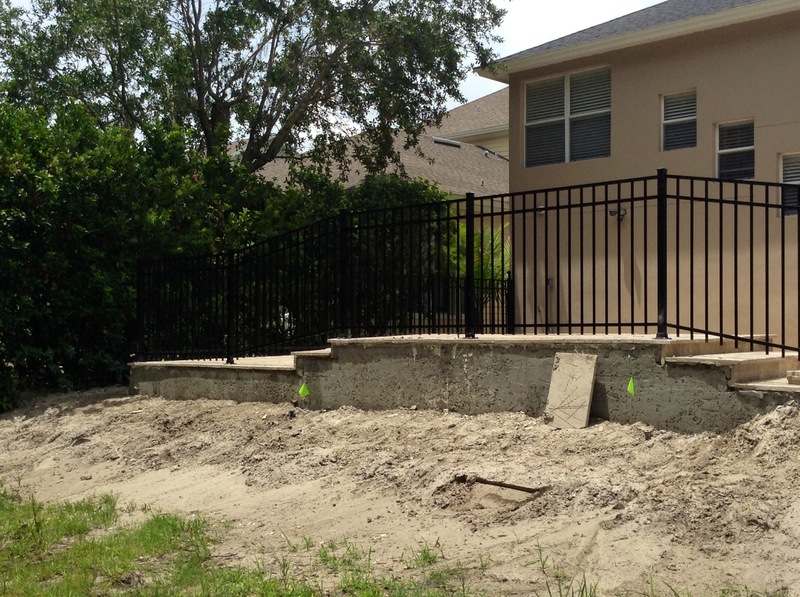 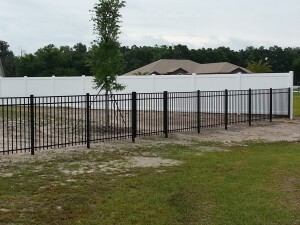 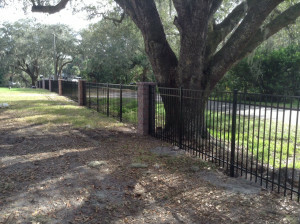 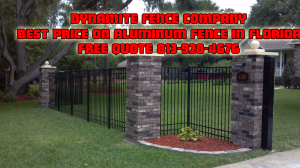 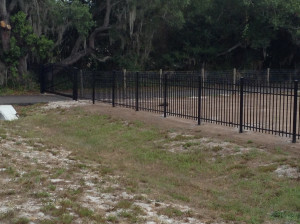 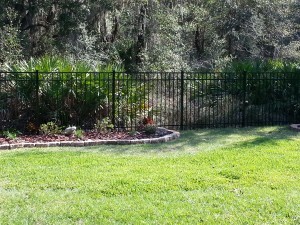 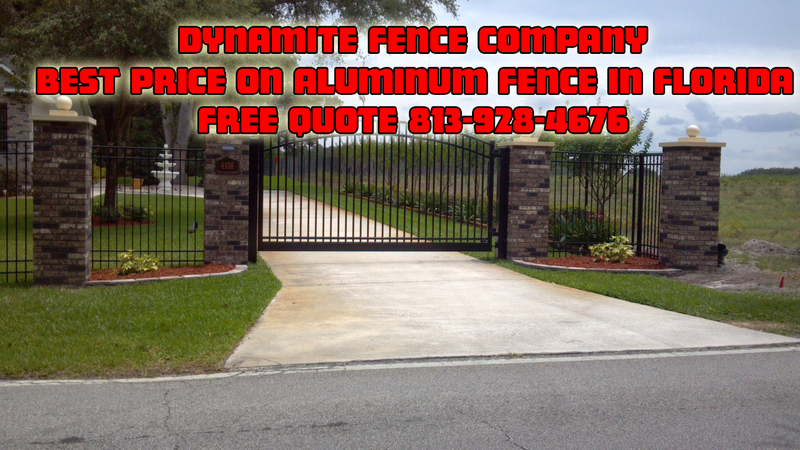 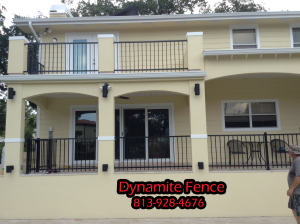 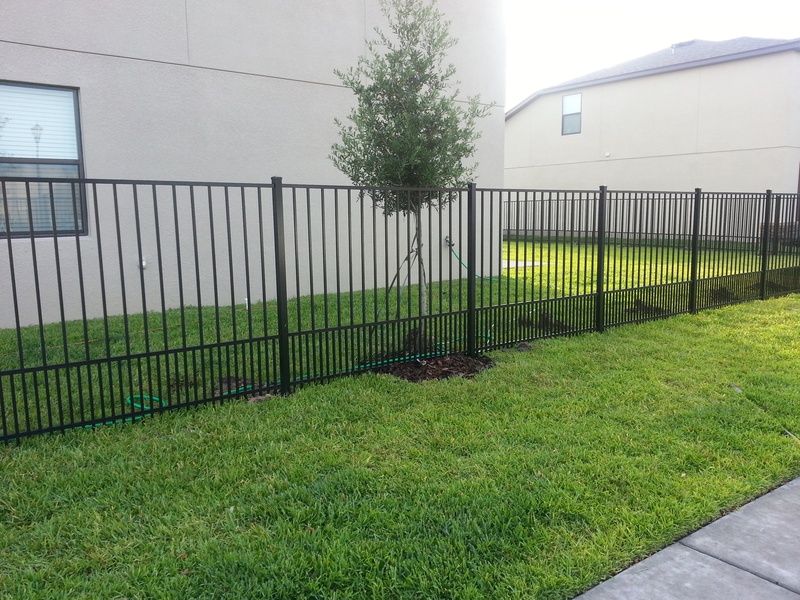 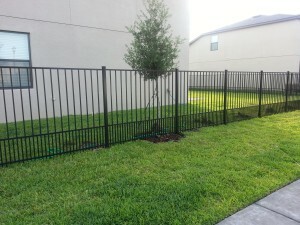 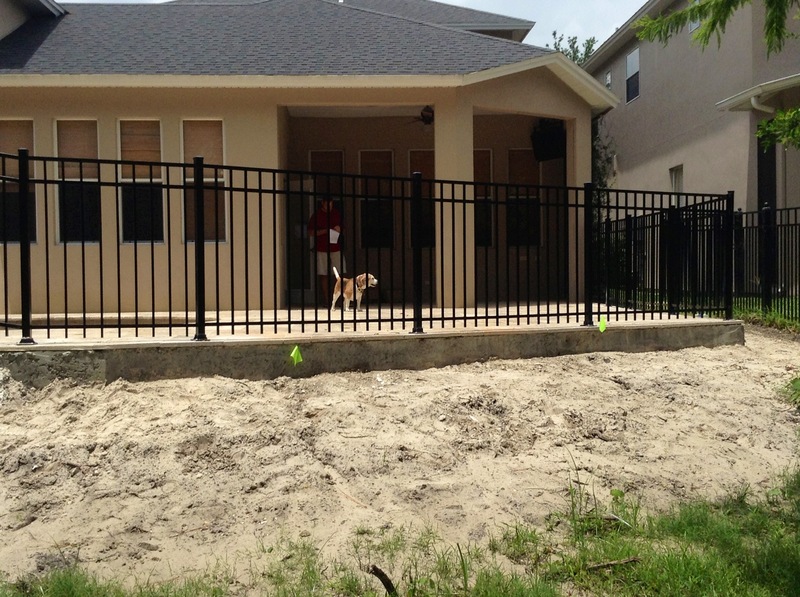 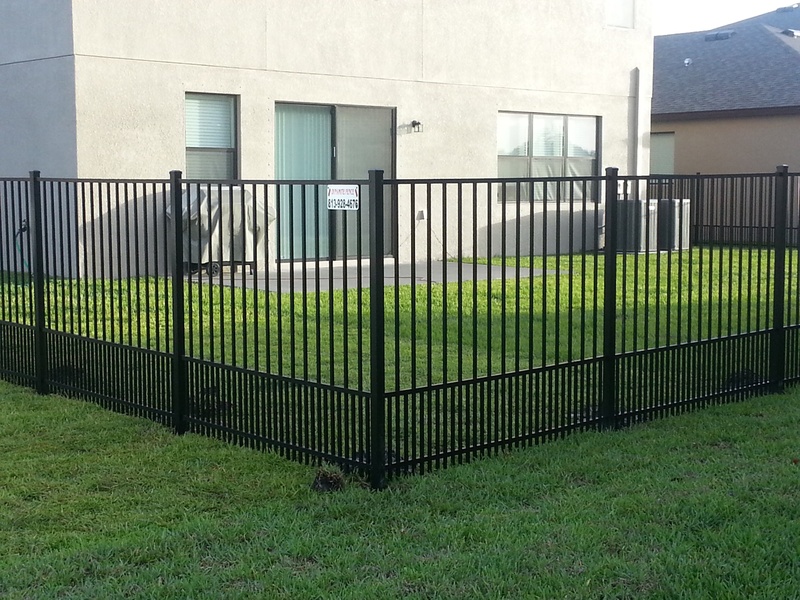 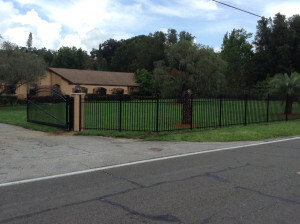 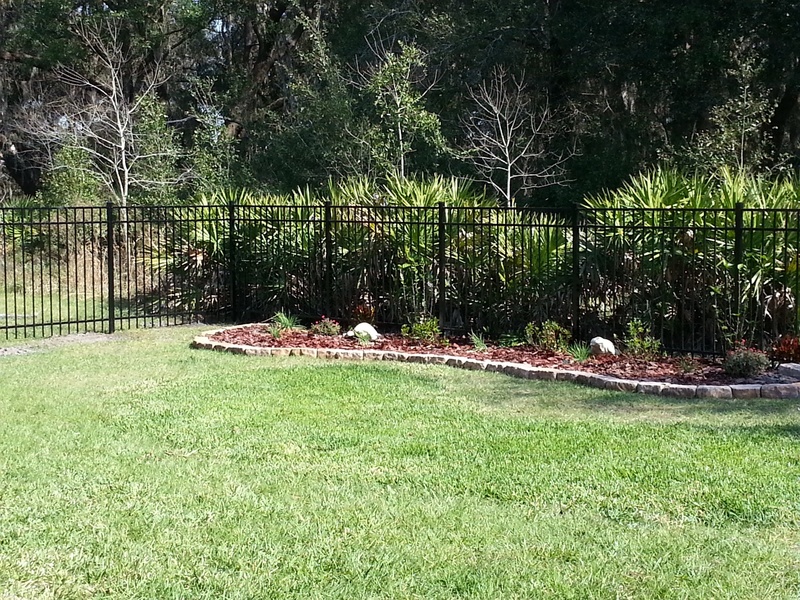 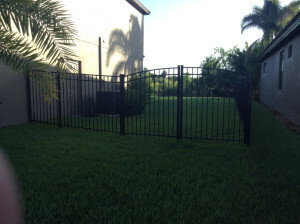 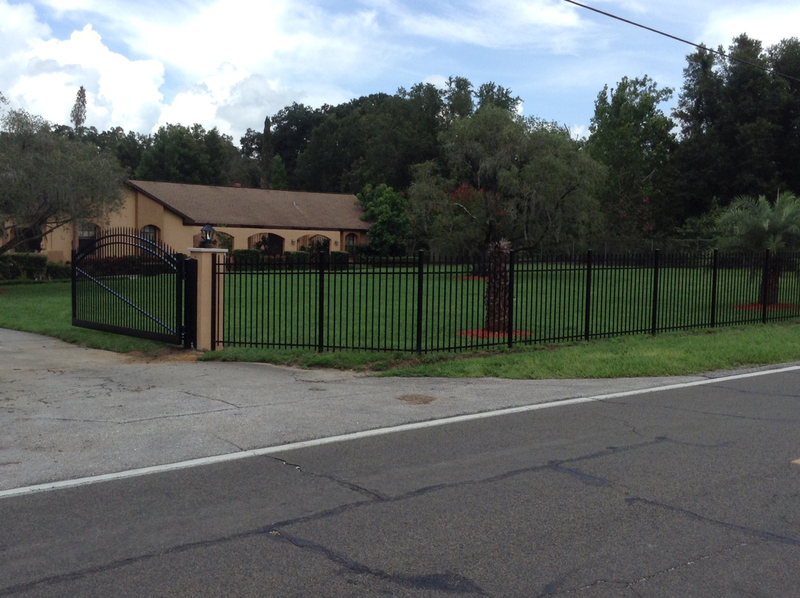 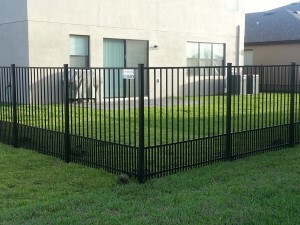 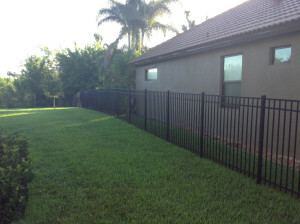 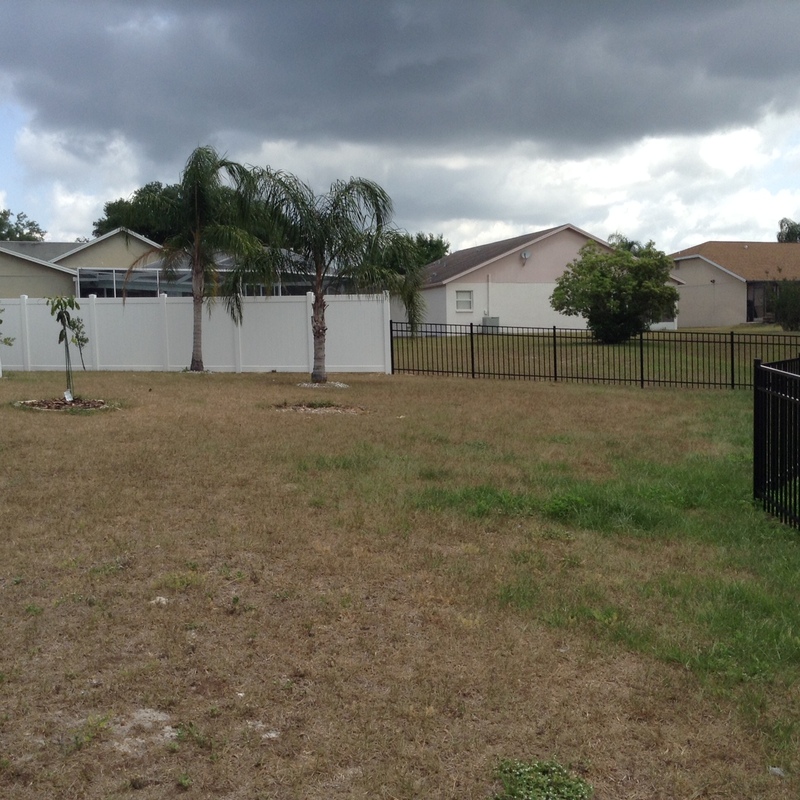 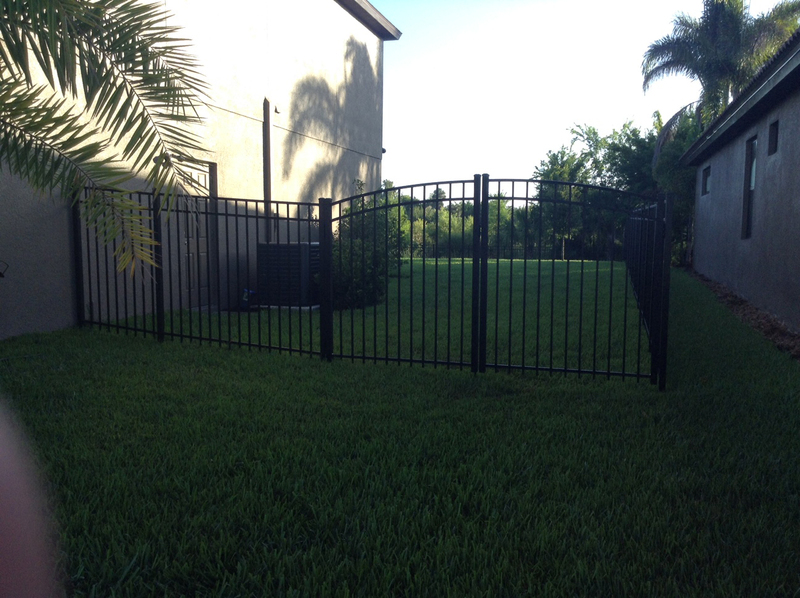 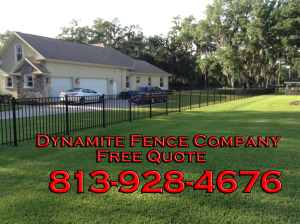 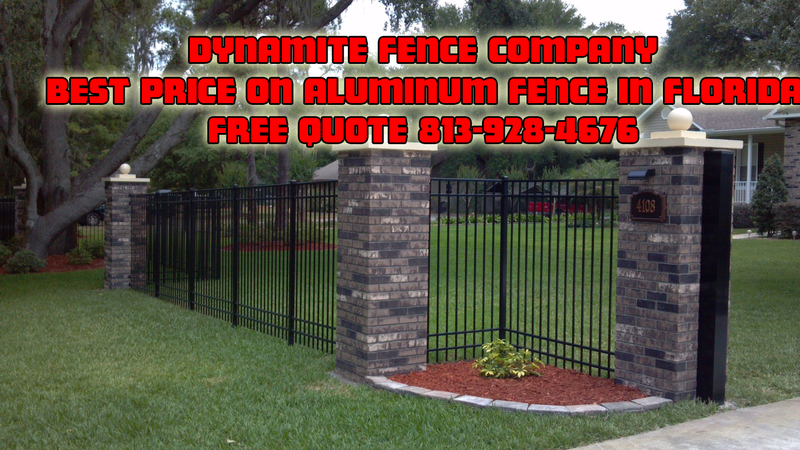 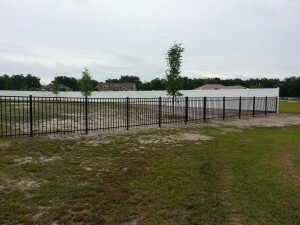 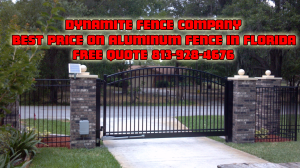 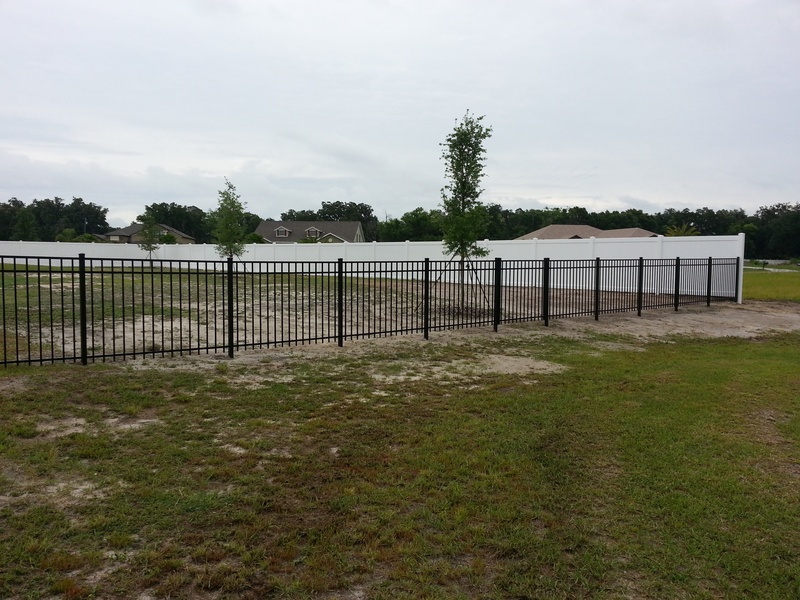 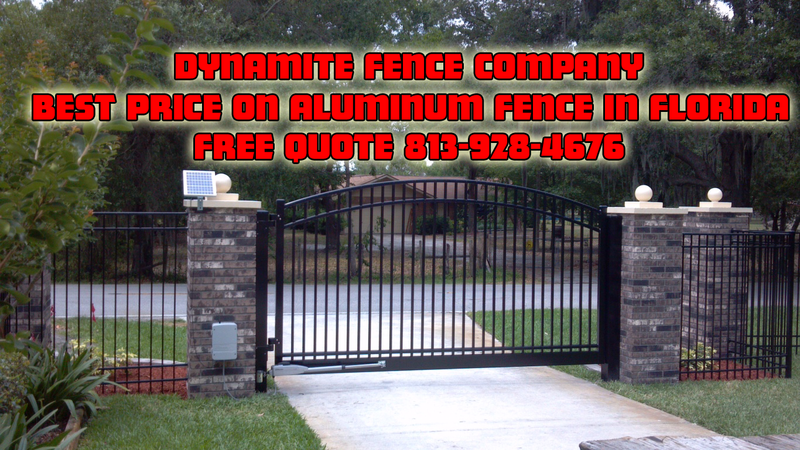 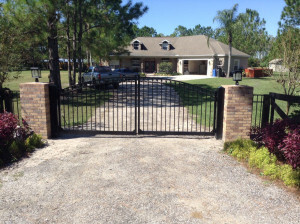 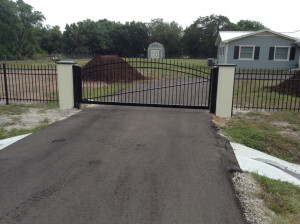 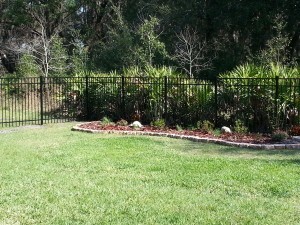 Check out some of our more recent aluminum fence jobs that we have completed and give us a call for a free quote, no obligation quote at 813-928-4676 and let us put our 25+ years of experience installing commercial aluminum fences or installing residential aluminum fences. 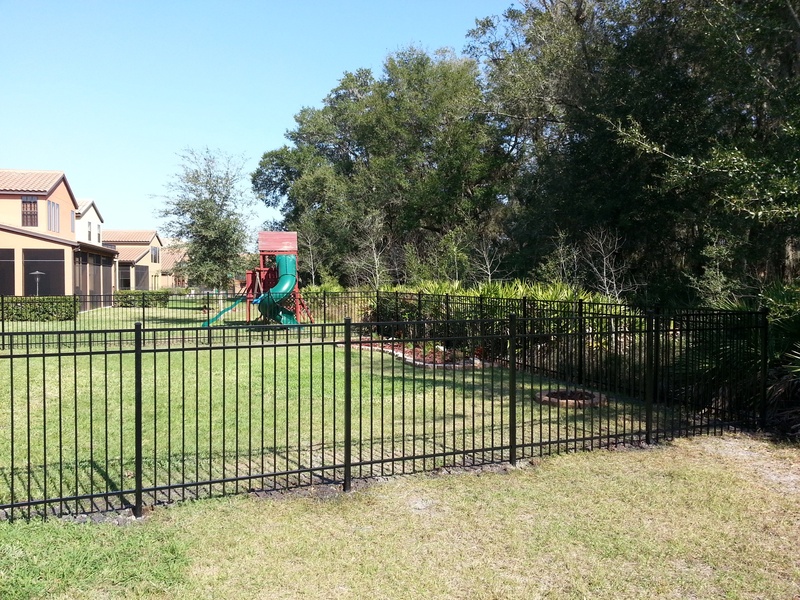 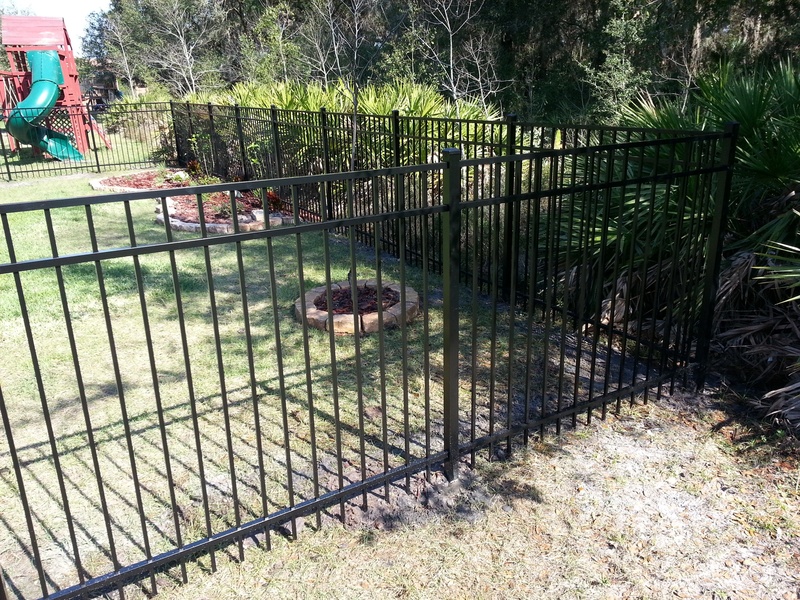 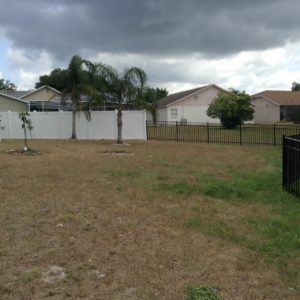 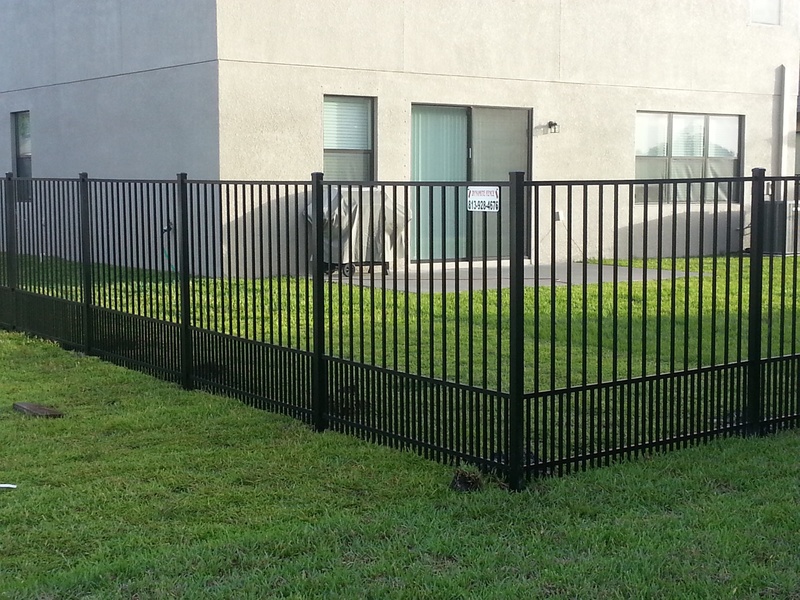 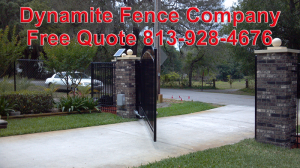 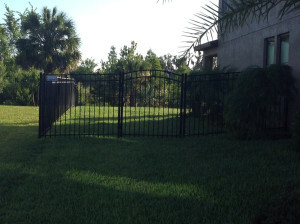 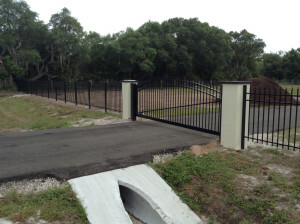 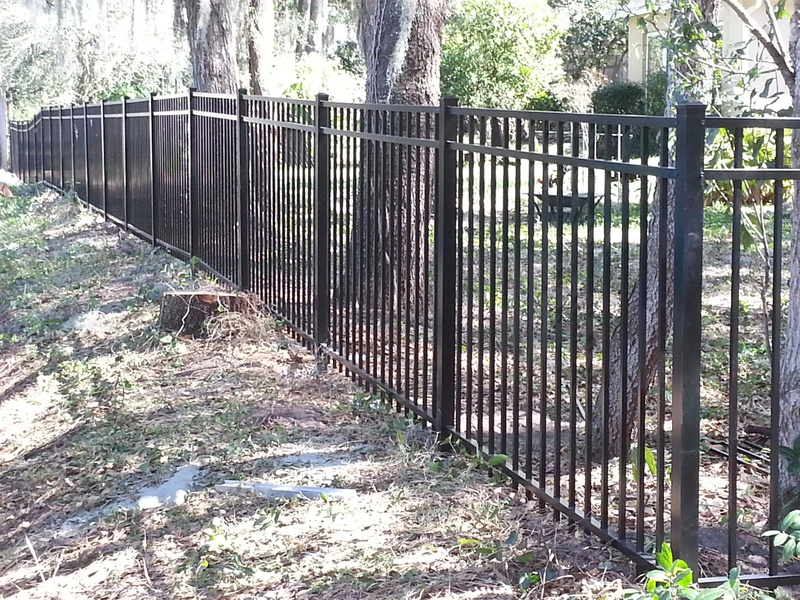 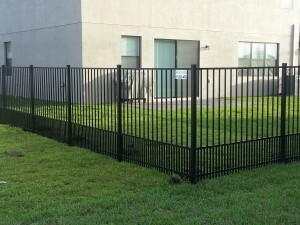 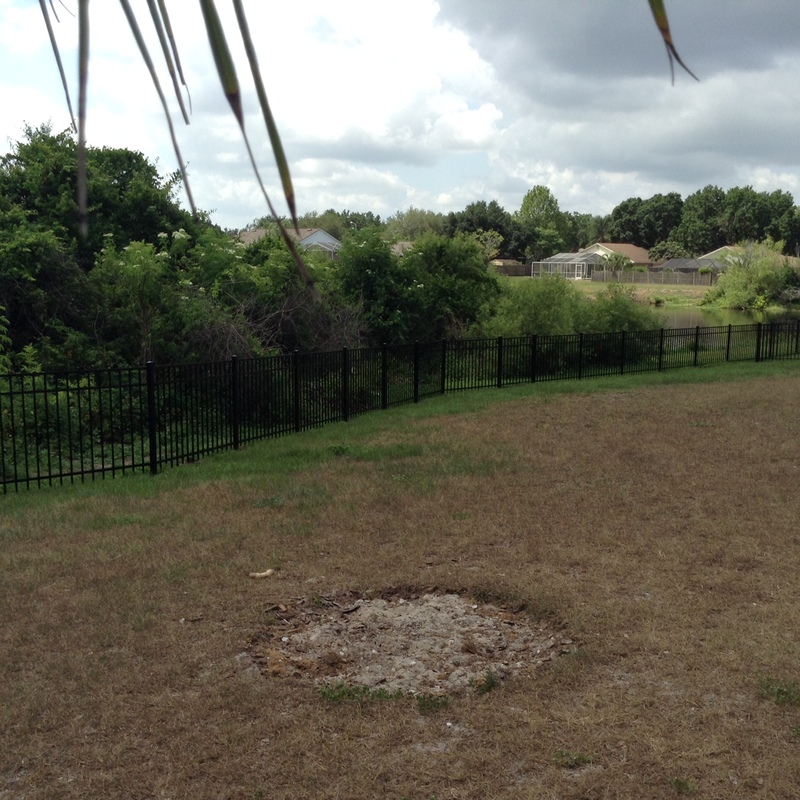 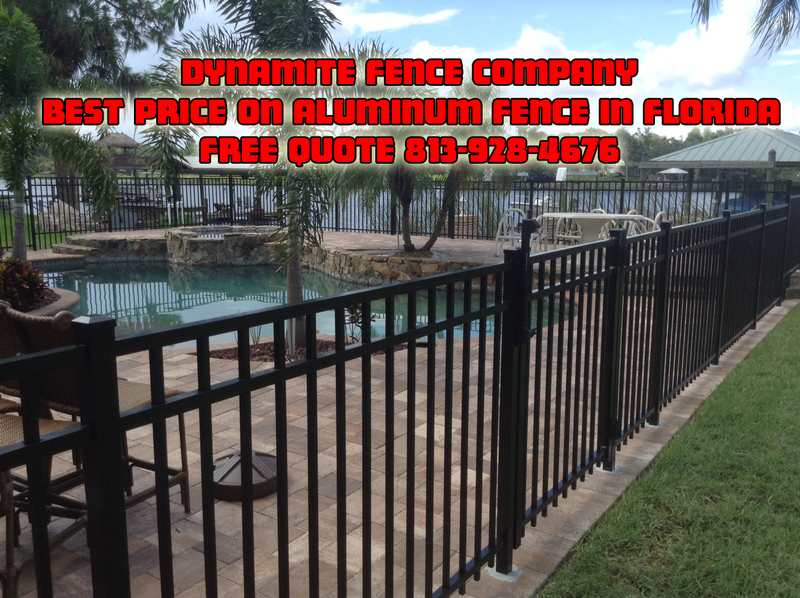 We use premium commercial grade Aluminum fence manufactured right here in Florida for both our residential and commercial fencing clients. An ornamental aluminum/steel fence is one of the best ways to provide security and elegance to anyone’s property without the maintenance of traditional wrought iron fencing. 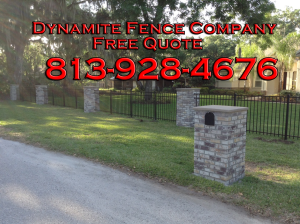 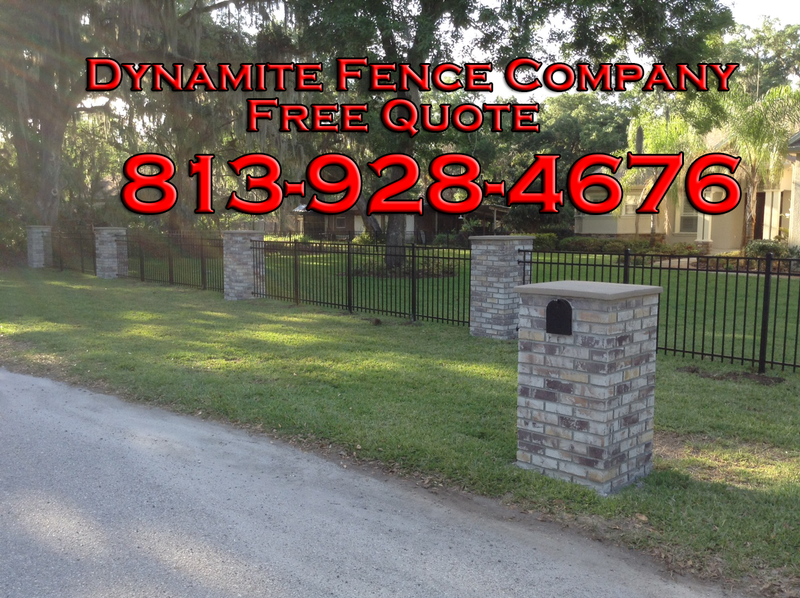 Adding some brick pillars or a couple of stone columns or even an arched top gate or two, is a great way to really make your new ornamental fence a show piece for your home give us a call at Dynamite Fence and let us show you how we can put our 25+ years of experience to work in order to create a safe for you, your kids and your pets. 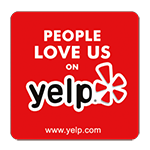 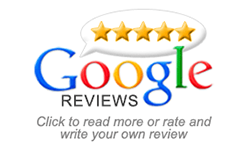 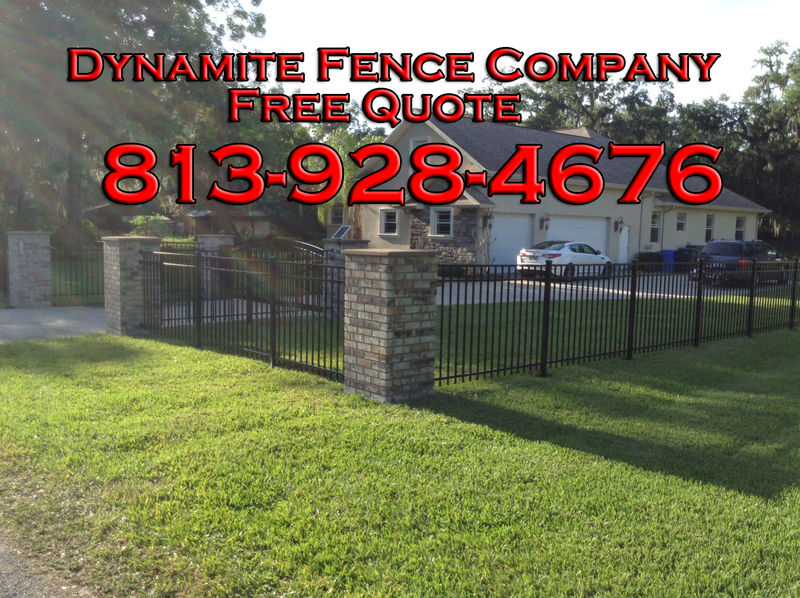 We have an incredible selection and options available to you, more than are listed on this site so give us a call and get a custom quote. 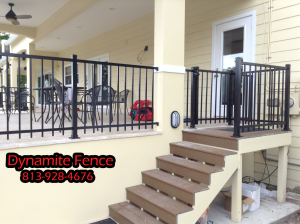 For enhancing the appearance and security of their property, many homeowners select ornamental aluminum. 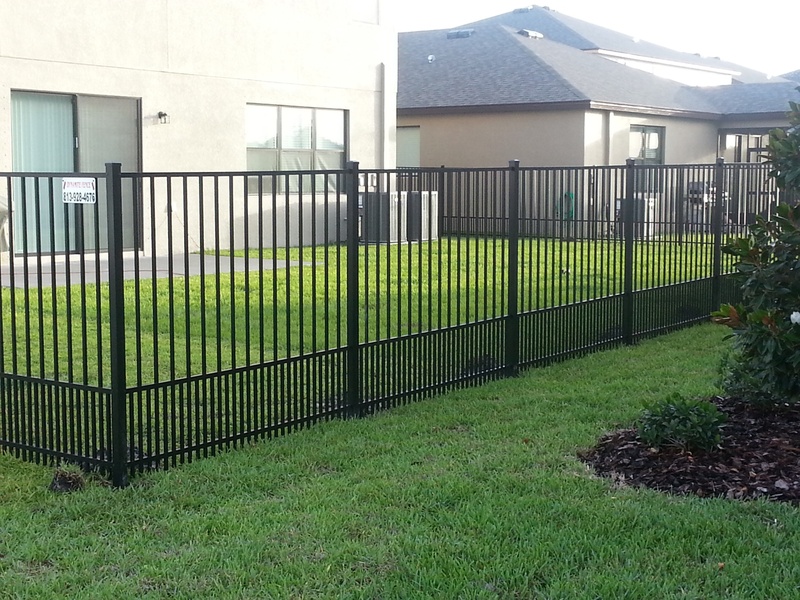 Ornamental Aluminum has the look of a wrought iron fence, but costs less and requires less maintenance because modern aluminum doesn’t rust. 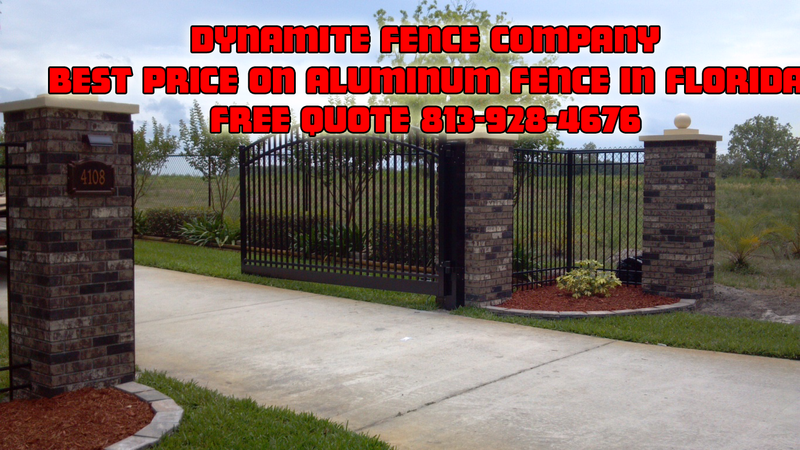 When it comes to aluminum fence you have a lot of choices of styles , heights, colors and decorative options. 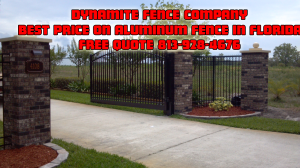 The first step in choosing the perfect decorative aluminum fencing is deciding on the grade of fence. 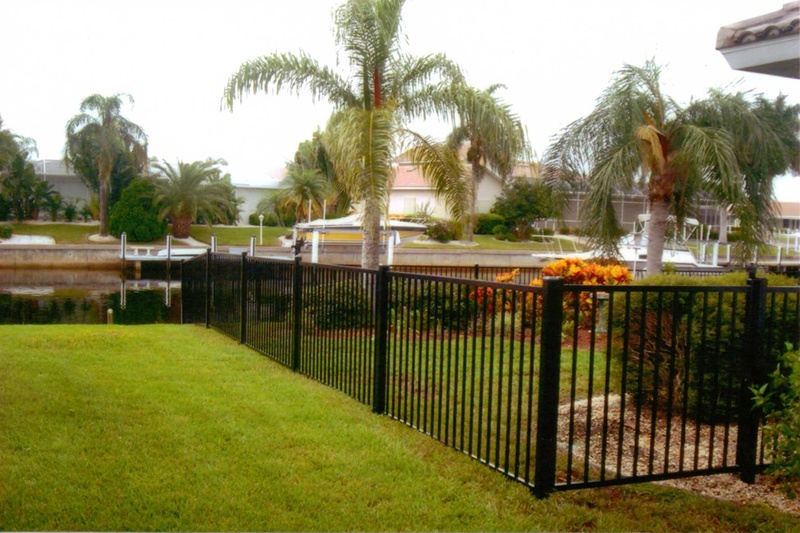 It comes in Residential, residential wide, commercial and industrial grades. 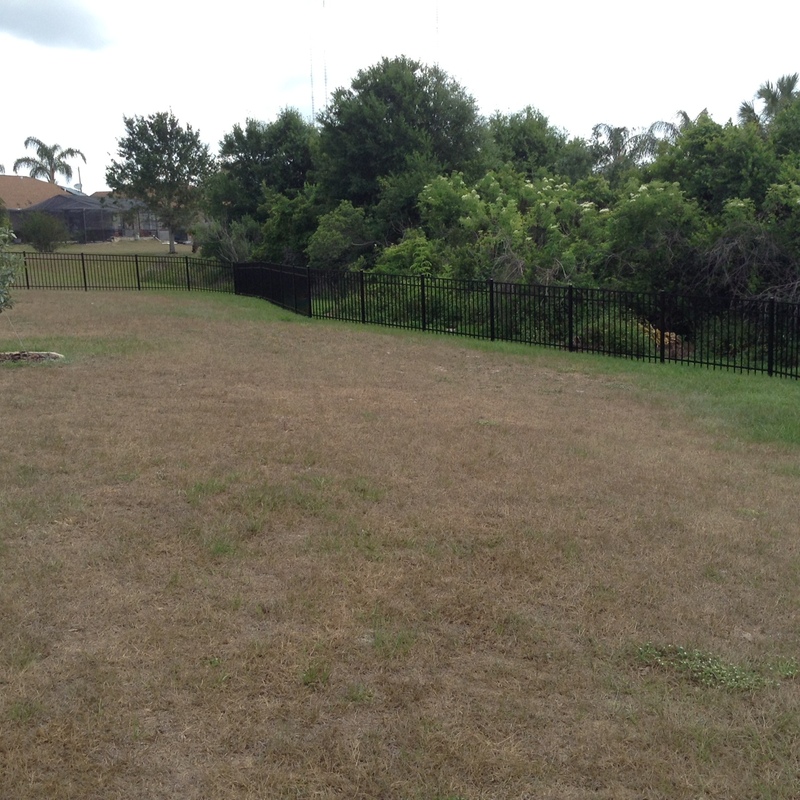 Residential grade is perfect for most residential properties that want to contain children, pets, or unwanted guests out of your back yard. 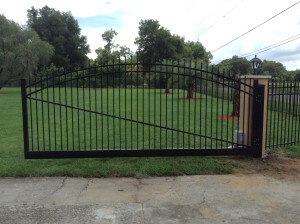 Residential wide is very similar to residential but comes in wider widths for a unique look. 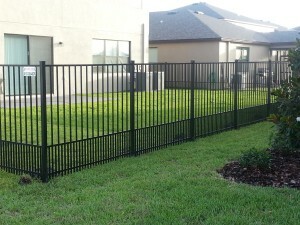 Commercial is used where a little more security is needed, it is thicker and stronger. 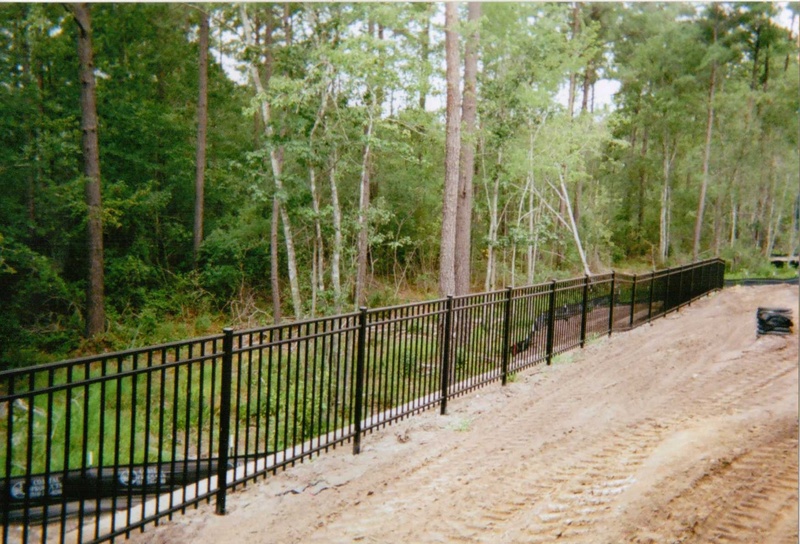 Industrial is used for more demanding applications usually around industrial or commercial locations. 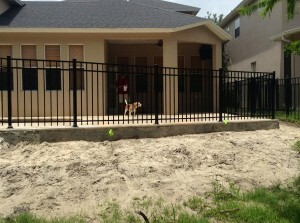 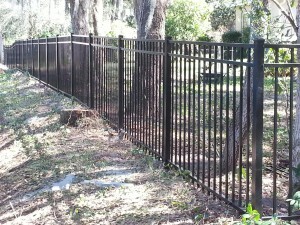 The most basic aluminum fencing is the two-rail style. 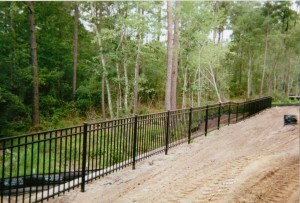 Each section has a top and bottom rail with evenly spaced pickets between them; however the pickets do not extend above the top rail. 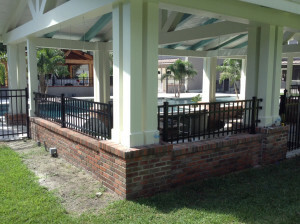 While not as fancy as some designs, it works well as a pool enclosure. 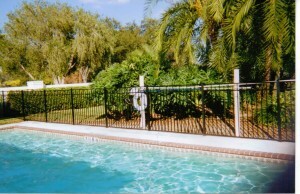 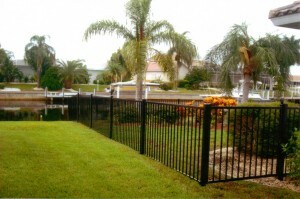 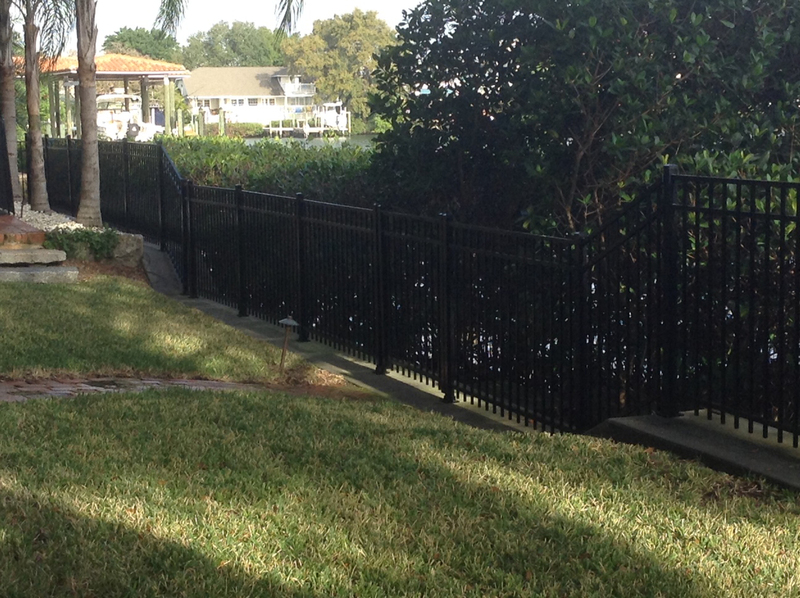 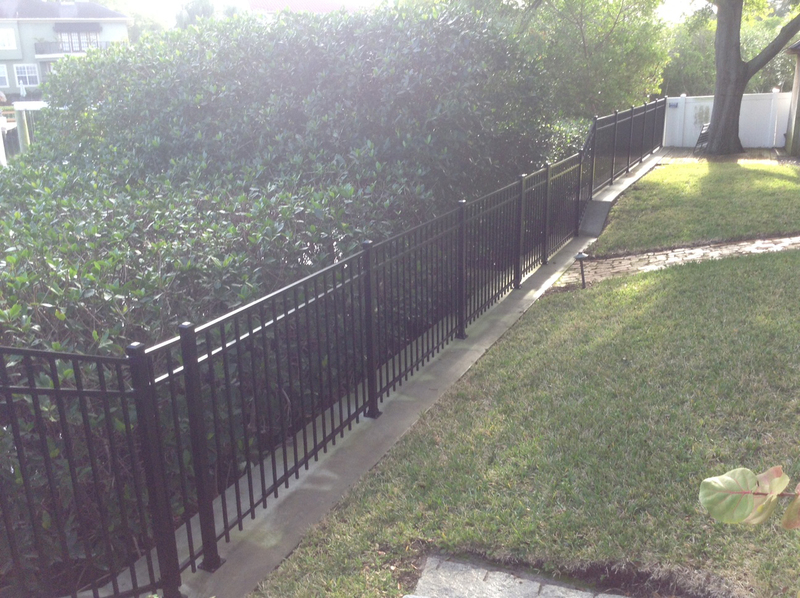 Another popular type two-rail aluminum fencing has pickets that extend above the top rail. 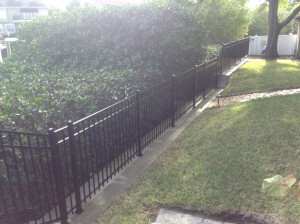 A style variation extends alternate pickets above the top rail. 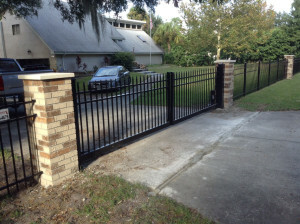 For additional variation on the style, the pickets may be cut square, pinched into a point, formed into arches, or topped with fancy finials. 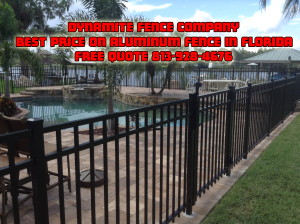 The basic three-rail aluminum/ornamental fence has two top rails spaced several inches to a foot apart, plus the bottom rail. The pickets do not extend above the top rail, and may or may not extend below the bottom rail depending on the homeowner’s choice, as both designs are widely manufactured. 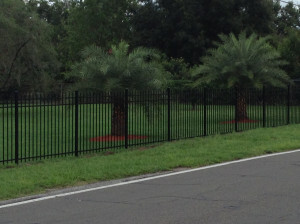 Several choices are available for picket spacing. As a general rule, as the gap between the pickets gets smaller, the cost of the fence gets larger. 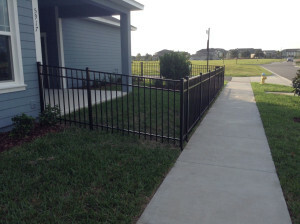 Some three-rail aluminum fences can have fancy touches added to them, such as pinched pickets that extend partway up between the two top rails, or pointed pickets that extend above, with circles filling the voids between the two top rails. 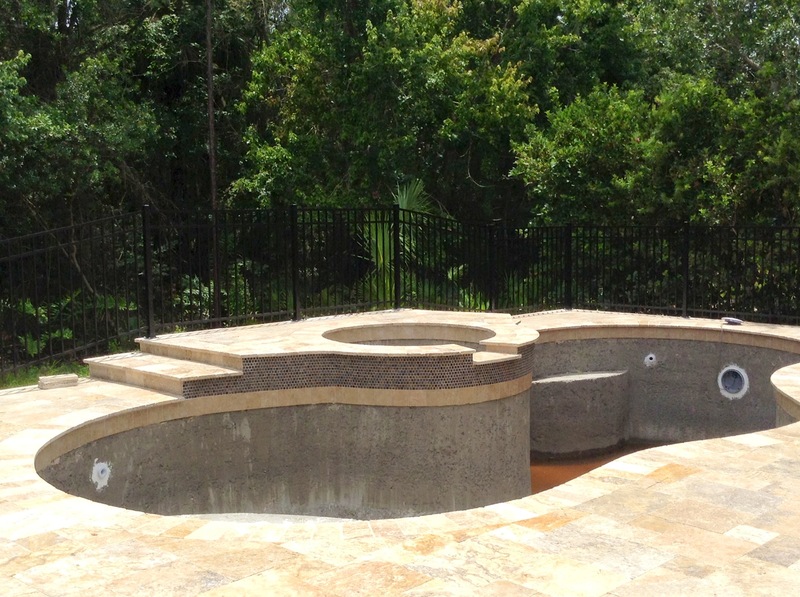 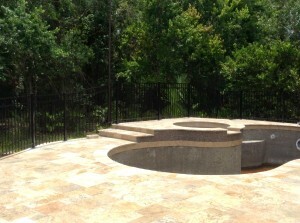 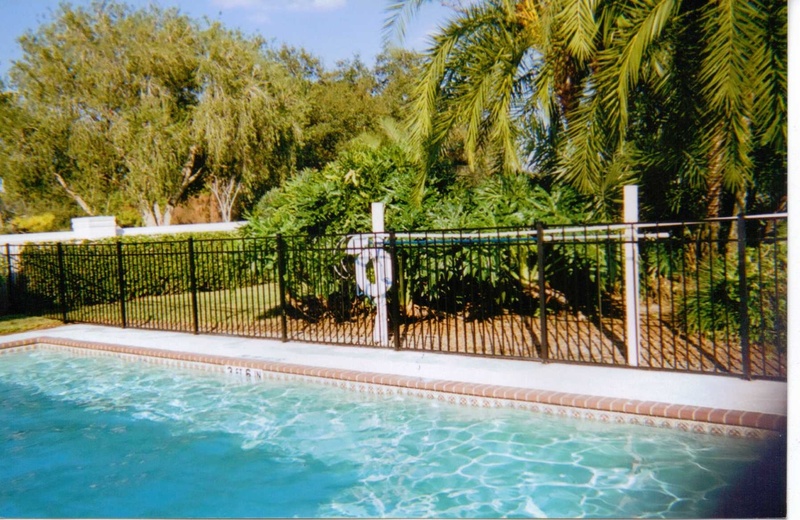 The safety for children is at the forefront of design and construction of residential and commercial swimming pools. 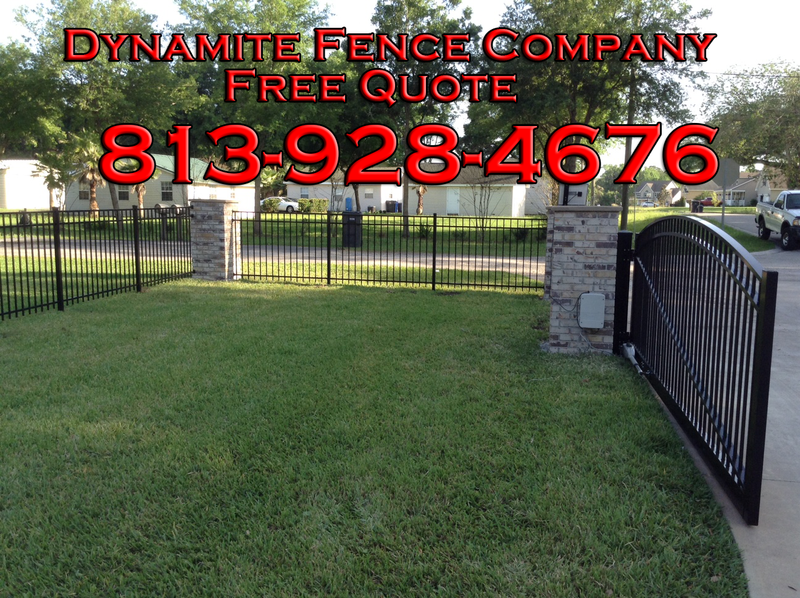 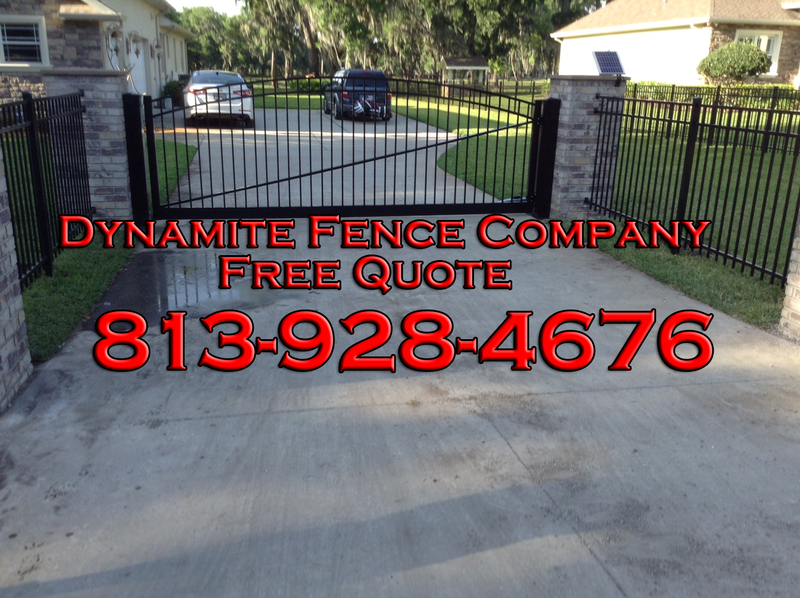 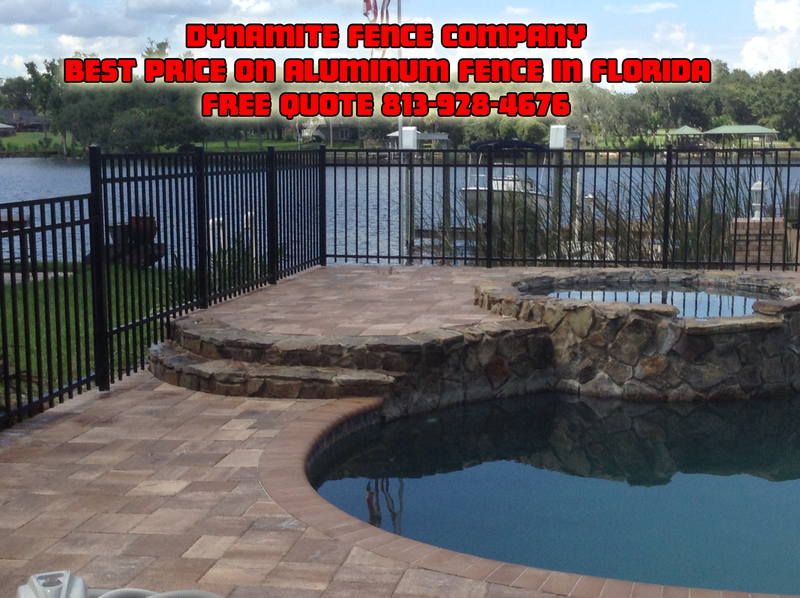 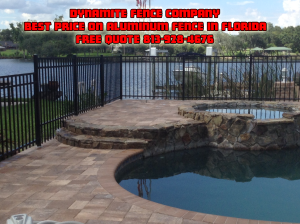 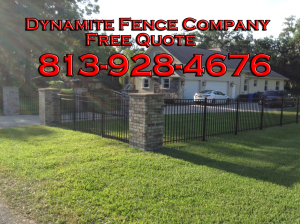 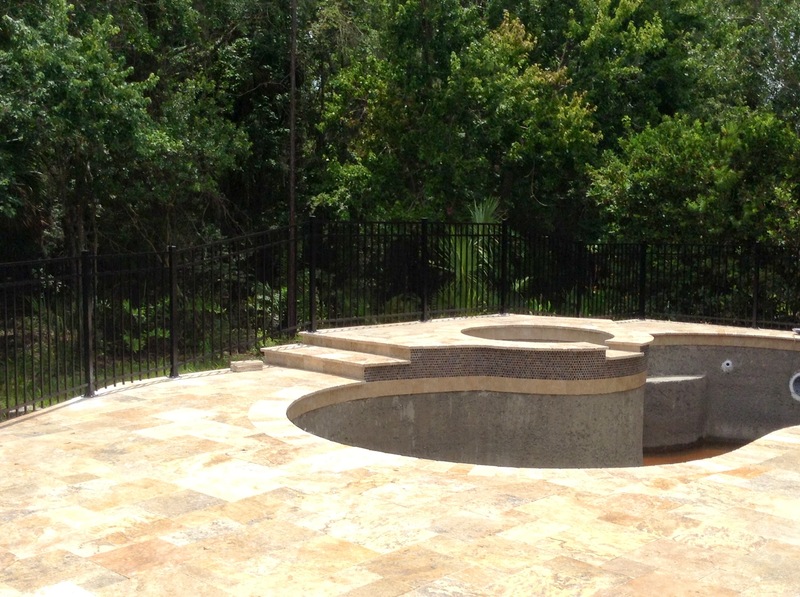 Dynamite Fence Company is leading the industry in decorative metal fences for swimming pool applications with ornamental metal fences designed with the safety and security of your pool and your greatest assets, your children. Ask how you can save hundreds, if not thousands of dollars with our package pricing for a new fence, having brick pavers installed or adding an outdoor living space, such as an outdoor kitchen to your backyard. 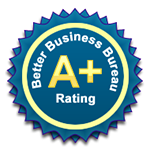 Our services stand the test of time and come with a warranty to back it up.